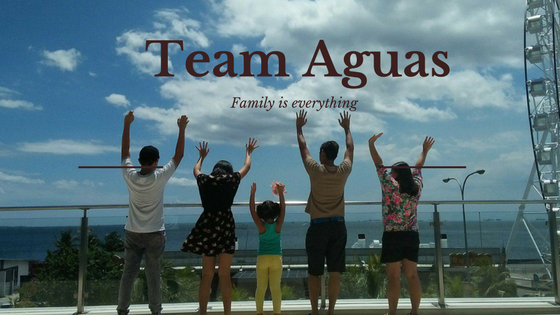 #TeamAguas: Get Ready to Urbanears!!! First off, Urbanears is one word written with no blank spaces. Anyone telling you different is wrong. Naturally, it is a play of words and a mix of meanings. The urban environment and the ear which connects our products with the user, creating the image of a movement exploring the cities of the world. Urbanears makes headphones that fit your everyday life. With a legacy in design and functionality, we supply the perfect listening device for anyone with a pocket full of music and a wish to make the most of it. Launched in December 2009, Urbanears is a global brand that has strong sales worldwide. Urbanears has been featured in numerous articles in publications such as Vogue (U.S.) and Elle (U.S). We recently won “People’s Choice” for this year’s Stora Designpriset in Sweden, and have won design awards such as IFA in Germany, and have created exclusive headphones for Wired Magazine. we get from consumers gradually improving each shipment of products. The Urbanears heart logo is made up of the letter U in two units, turned around and overlapping each other forming a heart turned to its side. To us it is a variation of a classic shape, the heart, with a different story of construction and a multitude of meanings. Unlike most other brand logotypes the Urbanears heart logo does not come with a specific color but rather a number of layers filtering lights differently. We want you to make Urbanears what it is to you rather than proclaiming a correct solution and the logo is a part of this idea. The Bagis is a compact version of the full Urbanears experience. It’s an earplug construction for a direct sound and efficient noise reduction. It features rubber housing along with a combined fabric and TPE cord to eliminate distortions caused by friction. As a bonus each earpiece snaps together, allowing you to carry them around your neck when not in use. So now you know where they’re at. The snap construction allows you to connect the Bagis around your neck when not using your headphones. Medis is an unprecedented experience in ergonomics and functionality. The patented EarClick solution secures the earpiece at two separate points rather than one, relieving pressure to a nearly non-existent level while keeping it firmly in place. Additionally, the Medis rests a small distance from your ear canal and therefore doesn’t affect your balance. Naturally the Medis features a dynamic sound and the sleek and minimal design that is synonymous with Urbanears. EarClick Construction is a patent that ingeniously secures the earphone into position in your ear. The EarClick Construction makes use of the bottom of the ear, much like the standard construction, and adds an upward hook securing the earpiece. The Medis comes with four four separate, silicone size pads. Try out for a perfect fit. We designed Plattan to be the perfect classic headphone, utilizing inno vative functions and performance with today’s technology. It is a full size headphone allowing for rich, secluded sound. You can fold it down to the size of your fist for maximum mobility. Plattan also comes with a “zound plug” on the earcap, allowing for a friend to plug in and enjoy your music. It’s actually not a plug, but rather a socket that allows your friend to plug into your earcap and listen to the same thing as you are listening to. Visit Digital Walker to see more colors and choose that fit your style and for sure you'll love it.